Have you ever wanted to seek out like-minded comic folks to pick their brains for advice, or just geek out about making comics? If your answer is yes, we have good news for you! 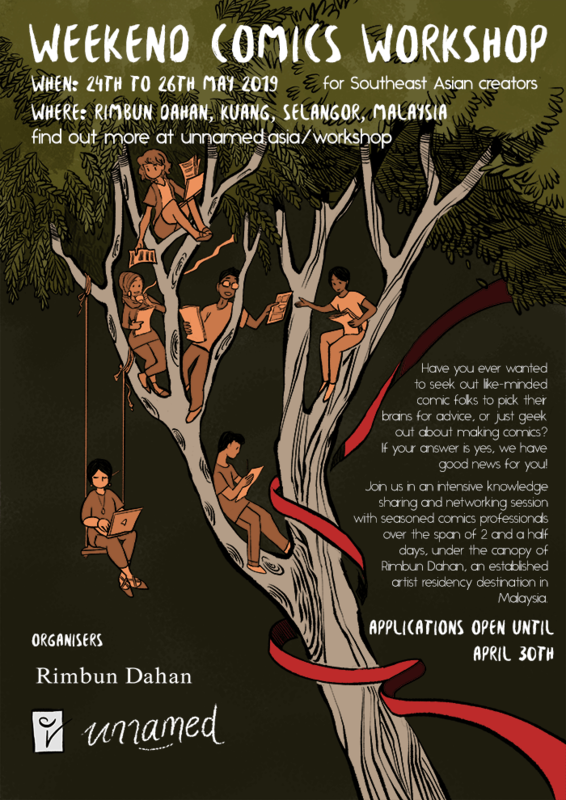 We’re looking for 6 talented aspiring Southeast Asian comic artists to immerse themselves in an intensive knowledge sharing and networking session over the span of 2 and a half days, under the canopy of Rimbun Dahan, an established artist residency destination in Malaysia. Comic-making is oftentimes a solitary process, and advice and hands-on knowledge available is typically not geared towards a SEA context, all of which are issues this workshop hopes to address. Sound like something you’d love to be a part of? Then head on down to unnamed.asia/workshop for more details on how to throw your hat in! Location: Rimbun Dahan, Selangor, Malaysia.